With its simple structure, White Bricks Inn attracts a person with just this simplicity and warm inviting atmosphere. 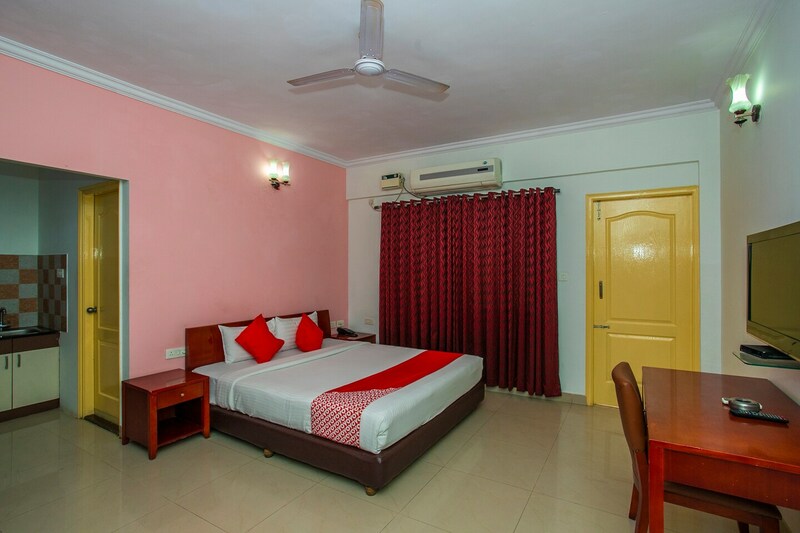 At White Bricks Inn, the bedrooms are a combination of white and light pink colored walls with dark red curtains and cupboards. The bedroom also consists of a dresser along with a desk and chair to sit and work at. A kitchen is situated off to the side of the bedroom connected with an open doorway with dark furnishings here too. Each room opens up to an open section of the building like a balcony of sorts. The hotel also provides its guests with free Wi-Fi, power back up, CCTV cameras and a card payment option.